PTO-driven DriftBuster™ snowthrowers are equipped with 180-degree rotating discharge spout to propel snow up to 30 feet away. Traction is enhanced by operator sitting position directly above the drive wheels. 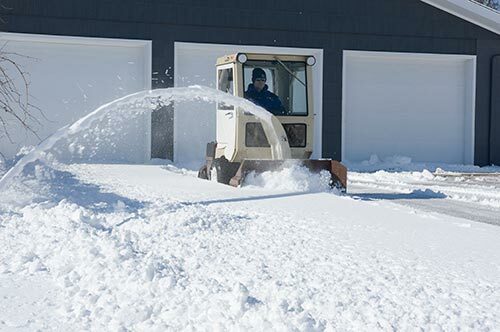 Optional steering lever-mounted joystick controls effortlessly rotates snowthrower chute from the comfort of the operator seat or winter enclosure. LUXURY YOU CAN AFFORD. 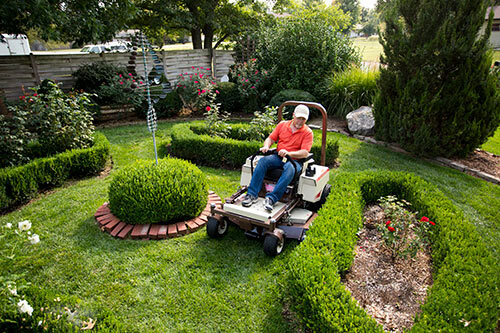 V Series models are designed for compact performance, rugged durability, timesaving agility and a carpet-like cut. The perfect combination of speed, agility, comfort, cut and value. Best in Class and Built to Last. 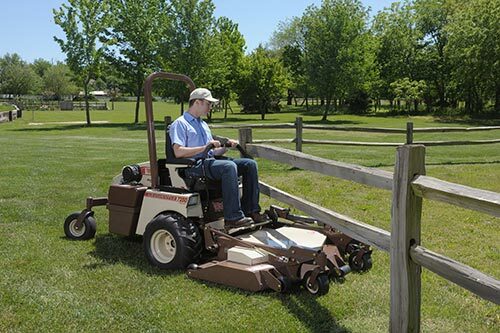 FrontMount™ decks easily reach under fences to speed trimming and eliminate time-consuming secondary trimming. MaxTorque™ diesel engines are Tier 4 Final-compliant and B5-ready, can save up to 900 gallons of fuel per 1,000 hours of use compared to gasoline and LP counterparts, and can add more than $9,000 to the bottom line every year. Quality Control isn’t part of the process.